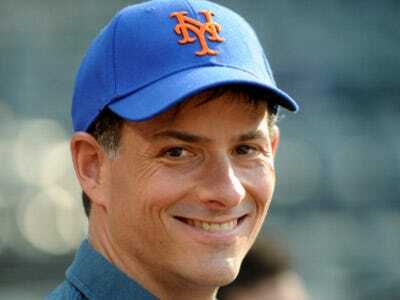 Hedge fund manager David Einhorn, the CEO of $8 billion Greenlight Capital who is battling Apple, just scored a win in Federal District Court in Manhattan. Bloomberg News reported that Judge Richard Sullivan granted Greenlight’s motion to block an Apple shareholder vote. “This is a significant win for all Apple shareholders and for good corporate governance. We are pleased the Court has recognised that Apple’s proxy is not compliant with the SEC’s rules because it bundles different matters in Proposal 2. We look forward to Apple’s evaluation of our iPref idea and we encourage fellow shareholders to urge Apple to unlock the significant value residing on its balance sheet,” Greenlight said in a statement. Greenlight said Apple is attempting to bundle three reforms, two of which he would normally support, into one provision and Einhorn thinks that violates the SEC’s proxy rules. Einhorn was in court on Tuesday and it was reported that the judge was leaning in his favour. The closely-followed hedge fund manager, whose fund owned about 1.5 million Apple shares (275,000 in call options) at the end of Q4, has been taking aim at the tech giant’s massive cash reserves. He’s been urging other shareholders to vote “No” on Proposal 2 in Apple’s proxy that would eliminate the company’s ability to issue preferred stock. Apple’s CEO Tim Cook called Greenlight’s lawsuit a “silly sideshow” at Goldman’s tech conference earlier this month.